Could there be a new wave of switchers? I've gotten several emails recently from people asking how to move their iTunes library from a Windows PC to a new Mac. 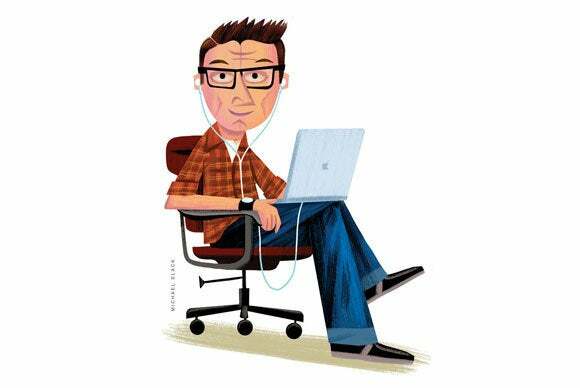 In this week's column, I discuss this move, particularly when iTunes media is stored on an external hard drive. 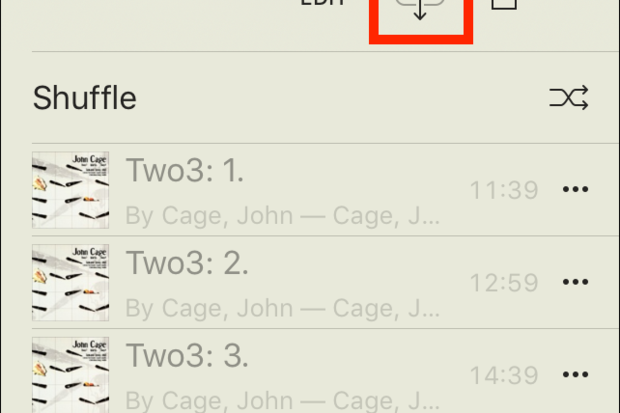 I also talk about the "missing" Gapless Album tag in iTunes, and give a quick tip on how to download a playlist from the cloud to an iOS device. Q: I'm currently using a PC, and I've been thinking of buying a MacBook for a while. I use iTunes to manage my music and other related media files, and all these files are stored on an external hard drive. I use the Z drive for this, so it won't be assigned to any random letter like D, E, or F by the computer. I think a Mac system is different, so I am not sure how to painlessly transfer all data to the new Mac computer and don't lose any information. If I copy all those .xml files and such, will it work?. I wrote about moving from a PC to a Mac in an article six years ago. Not much has changed since then, but it's worth pointing out a few details that apply to you, since your media is on an external hard drive. Assuming that you have too much media to fit on your new MacBook's internal drive, you'll need your iTunes Media folder to be on an external drive. While a Mac can read a drive formatted for Windows, it's probably not a good idea to use that drive once you've made the changeover. Get a new external hard drive, and format it for Mac OS X. Follow the instructions in this article. (The article tells how to make a startup drive, but it will work fine for any use.) Regarding your question about drive letters, this doesn't exist on OS X; just give the drive a unique name. I call my external drive Music. Connect both the Windows drive and the new Mac-formatted drive to your MacBook. If you have a MacBook with a single USB-C port, you'll need an adapter and a hub; if you have a MacBook Pro, it has two USB ports, so you can connect both drives. Copy your iTunes Media folder from the Windows drive to the Mac drive. Eject the Windows drive when this has finished. Copy all the files and folders from your user folder on the PC to the ~/Music/iTunes folder on the Mac. (~ is shorthand for your user folder, the one with the house icon and your user name). If there is no iTunes folder, create it, and then copy the files. This includes the .itl file, the .xml file (if there is one), the Album Artwork folder, and any other files. You'll see these files and folders in your iTunes folder; copy them from the Windows PC to the Mac. Launch iTunes, and it should display your library. But don't try to play anything, because iTunes won't know where the files are. In iTunes, choose iTunes > Preferences > Advanced, and then select the iTunes Media folder on the external drive. Make sure to check Keep iTunes Media Folder Organized, and Copy files to iTunes Media folder when adding to library. Click OK. Choose File > Library > Organize Library, check Consolidate Files, and then click OK. iTunes will then scan your library file, making sure that all your media files are present. It will then (hopefully) link them to the files in your new iTunes Media folder. This may take a while if you have a lot of files. When this is finished, you should be able to play all your files. Hold on to the Windows drive for a while as a backup, in case iTunes didn't find all your files. And enjoy your new Mac! Q: Whatever happened to the Gapless Album checkbox that I used to be able to use for live albums and classical albums in iTunes? Is there any way to restore that functionality? iTunes has been able to play music "gaplessly" since version 7. And since then, the Gapless Album tag has confused people. Apple removed this a while ago; back when iTunes 11 was released. But I still get emails from people who have either just noticed that it's missing or think they still need to use it. I explain the Gapless Album tag in this article, but if you want an executive summary, it's this: you don't need this tag. If you have live albums, or other types of music which needs to be played without gaps, iTunes plays it correctly. The only time the Gapless Album tag was useful was when you use the Crossfade Songs feature (in iTunes' Playback preferences). This tag told iTunes that there was no gap before or after the music in a track so it could correctly crossfade songs. It served no other purpose. My guess is that iTunes can now tell by pre-loading files, so it doesn't need a special tag for this any more. 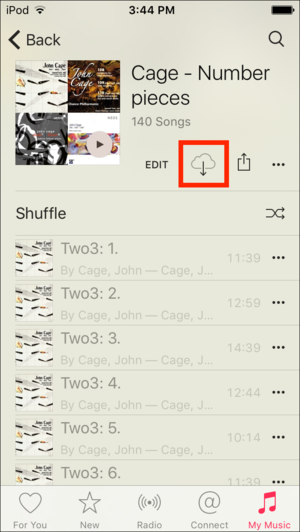 Tap the cloud icon to download an entire playlist to your iOS device. Q: I frequently walk at a gym that has poor to no Internet connectivity. I would like to download some playlists to my iPhone. Currently all are in the cloud on my computer and iPhone. How do I download a playlist? In the iOS Music app, tap Playlists, and then tap a playlist. Near the top of the playlist, below its name, you'll see a few buttons, and a cloud icon. Tap that icon to download all the music in the playlist to your device.